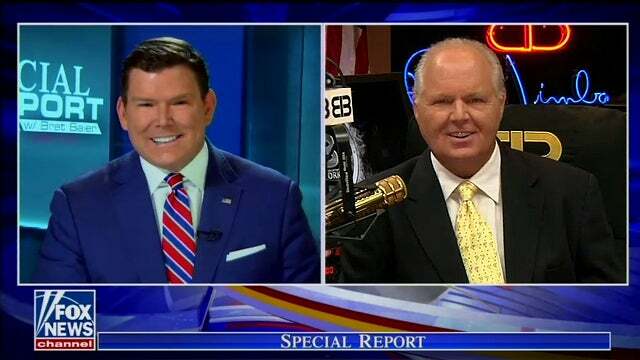 RUSH: Now, before we get specifically to the Mueller situation and Nadler and Schiff, which is very uncomfortable for me in a way because I’ve spoken often here of my respect for and friendship with Chris Wallace of Fox News. I appear on Fox News Sunday twice a year. And I enjoy it. And we get together occasionally for dinner if he ever finds himself down here. But I was kind of surprised two or three weeks ago on a Friday. During the program, he was on Fox getting ready, promoting what was coming up on Fox News Sunday and he was in a little — I forget who the anchor was, but they were having a discussion about the Mueller report and this whole Trump-Russia collusion thing and the origins of it. And he was insistent that the Trump-Russia collusion investigation got started long before the dossier. You know, I had said the dossier’s all they ever had. And it is all they’ve ever had. But he believes because of fact-checking organizations that the investigation actually began in July of 2016 when George Papadopoulos told the Australian ambassador Alexander Downer that the Russians had 30,000 Hillary emails. Well, now, the FBI originally tried that story. They ran that story out, they publicized the story. A lot of people bought it, that that was when they got worried that there might be Trump-Russia collusion ’cause this guy Papadopoulos, who had been recently hired for the Trump foreign policy advisory team — you know, when Trump’s campaign got going, he didn’t have a bunch of advisers in these various areas: foreign policy, domestic policy, what are you gonna do about rug rats, what are you going to do about this and that. So he had to start filling out positions just so satisfy everybody, and so Papadopoulos ended up being hired as a foreign policy, quote, unquote, adviser. But how Papadopoulos ended up in London and even at the bar with the Australian ambassador is part of the FBI setup. And the way it happened — and I don’t know how many times and places this has been documented in print, Daily Caller with Chuck Ross. It has been documented by Lee Smith. I mean, any number of places where this has been documented. 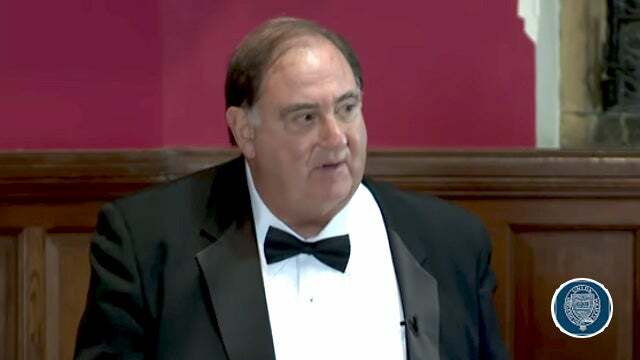 What happened is — and you’re gonna be hearing this name later in the program, and you’ve heard it before, Stefan Halper. Stefan Halper is a Cambridge professor, he is a very close associate of the former director of MI6, which is the British version of the CIA, his name is Richard Dearlove. They are very close. And they hate Trump. They despise Trump. And Stefan Halper was hired by the FBI as an informant. Halper tried to get hired by the Trump campaign as a foreign policy adviser, and it didn’t work. But the short version of the story is that after Papadopoulos was hired — and I’m really gonna compress this in the interest of time — Halper gets hold of Papadopoulos and invites him to London to give a lecture on his area of expertise, which was known. And for that they would pay his airfare and hotel and give him a $3,000 stipend. So Papadopoulos accepted. It was a very prestigious thing. I don’t know where the lecture was gonna be, but it was a prestigious organization. So he took the gig. And when he gets over there they introduce him — really compressing this for time — introduce him to a professor named Joseph Mifsud, M-i-f-s-u-d. And Mifsud starts talking to Papadopoulos about things and telling him things that dazzled Papadopoulos. 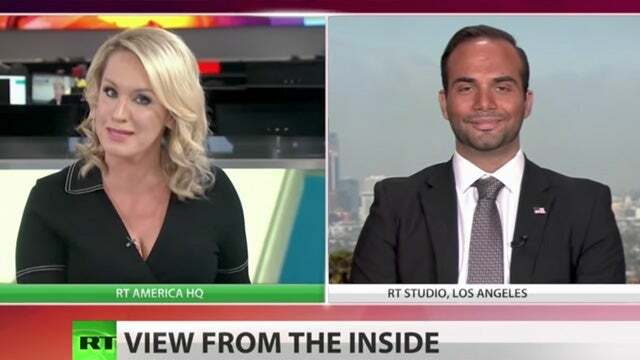 Papadopoulos is made to feel like an insider. Mifsud tells Papadopoulos that the Russians have some Hillary emails, and he tells him, “Now you know this, George, right?” And Papadopoulos didn’t know it. And, “Really, the Russians have?” “Oh, yeah,” that’s Mifsud. And then after this Mifsud couldn’t be found for about 18 months. Didn’t know where he went. “Oh, yeah, of course I do. Big news.” Well, Papadopoulos mentions this to the Australian ambassador after a couple of drinks. It’s an impressive thing to know. It makes you an insider. Wow. And so people who think that the story’s true believe that’s when the investigation began. Well, Papadopoulos wasn’t even interviewed by anybody until January. So if Papadopoulos was indeed the instigation of the investigation, why did it take six months after that to even talk to him, and why is the crime he went to jail for lying to the investigators? Two weeks is what his jail sentence was. But a lot of people, if you go to the fact check organizations, FactCheck.org, PolitiFact, you’ll see this story, that the investigation began with George Papadopoulos of the Trump foreign policy team telling the Australian ambassador that the Russians had 30,000 Hillary emails. What’s not in those fact check stories is that Mifsud and Halper are the ones that told Papadopoulos! And they’re both FBI informants! The FBI planted a story and then arranged for it to be sent back to the FBI as though nobody had heard it before. Papadopoulos announced it. And Papadopoulos was on television over the weekend. He was on the RT network, the Russian TV in America network. And he was interviewed by Scottie Nell Hughes, former Trump campaign associate and Rush Baby, although I didn’t know any of this ’til I got the sound bite roster today. RUSH: Before we get to these sound bites (there are three of them here), I don’t think I’ve ever said the dossier is what started the investigation, because I know the dossier was way later. I think this investigation started when Trump was still a candidate. I think it started before he won the nomination. I think the FBI, the Clinton-Obama teams, have been arrayed against Trump since 2015, certainly early 2016. HUGHES: Rush Limbaugh blames this phony dossier they came across for the investigation, but this past week Chris Wallace actually put the blame on George Papadopoulos. So who actually is to blame for the Russian investigation and $20 million worth of taxpayer funds and the last two years of headlines? PAPADOPOULOS: With all due respect to Chris Wallace, I think he’s stuck in 2017 or probably early 2018 (chuckles), ’cause that story has been completely debunked. The New York Times story has been completely debunked regarding me and Alexandra Downer apparently drinking in a bar and setting off an investigation. Alexander Downer was a weaponized asset, likely sent by the FBI itself to make contact with me in London and to try to sabotage me and apparently lie about this meeting I had. RUSH: That’s exactly right! Downer was set up to meet with Papadopoulos by Stefan Halper. Halper had told (after Mifsud had) Papadopoulos that the Russians had 30,000 emails. The plan was for Papadopoulos, a young guy thinking he’s really in the know here, to brag about what he knew, which he did! “Remember, George, Russia has 30,000 emails…” Right before he goes to the meeting with Downer. So he tells Downer, and Papadopoulos is confirming that Downer was part of the weaponized asset here, a weaponized asset to create a phony story that would justify the investigation beginning — and here’s what he said at the conclusion. PAPADOPOULOS: If it’s indeed true that I was talking about hacked emails with some strange diplomat — who I myself reported to the FBI and Bob Mueller — why on earth would Mark Meadows, the top ally in Congress of President Trump, be asking for the last four months for President Trump to declass my file and my FISA surveillance-abuse elements regarding my case? The answer is, he would not. My case completely not only exonerates me once it declassified, but it’s also gonna help President Trump — and that’s something that I don’t think many people quite understand yet. RUSH: Because the New York Times and the Washington Post and CNN and MSNBC and USA Today and the Los Angeles Times refuse to report the truth about the Papadopoulos, Stefan Halper, Joseph Mifsud, Alexander Downer setup. It’s been out there for at least a year, if not longer, for public consumption. You’re probably bored with me telling the story over and over again. But it’s striking. You know, I don’t trust fact-check organizations. I think they’re just part of the left-wing, biased media anyway. But there’s a lot of people that think this investigation really began because a Trump campaign guy was bragging about the Russians having 30,000 Hillary email address, and it’s just not true. They used it (sigh) in all kinds of ways. They used it to inform Trump, thereby getting the dossier in the news. It was the only thing on paper they ever had that they could say was evidence. But the investigation or… Folks, there was never an investigation! There was never any collusion. It’s wrong to even call this an investigation. This was an attempt to take out Donald Trump the candidate, Donald Trump the elected president during his transition, and Donald Trump the president after his inauguration. It was never an investigation. It was always a political assassination project. It was never any more than that. There was nothing to investigate. Everything in it had to be made up. That’s why I blanch when I hear the term “investigation,” because that implies that there was a crime someplace. There never was. They didn’t even designate a crime for Mueller to go find. It was all these counterintelligence moves. It was a coup! Anyway, it’s old ground. Let’s go to the phones. Yreka, California. James, great to have you with us. Hello. CALLER: Honor to speak with you, Rush. RUSH: Thank you very much, sir. Great to have you here with us. CALLER: So we elected Trump — main reason, I believe — to stop illegal immigration, and we’re seeing it continually get worse. I’m starting to lose a little bit of faith here. Some people I talk to, you know, feel the same way. It needs to stop. It’s out of control. RUSH: Well, yeah, you’re one of the 67% that is very much opposed to what’s happening and thought you were electing a president to stop it. I hear you. James, thanks for the call. Where are we headed next? Joe in Otis, Indiana. Great to have you on the program. Hi. CALLER: Senior intelligence analyst, retired. You guys need to understand that Halper is a Bush man. Always has been. RUSH: Well, wait. That’s true, but he also… The stunning thing about Halper is he worked for Reagan. He’s got a farm in Virginia. CALLER: And who was Reagan’s running mate? RUSH: Okay. Okay. I’m not trying to deny that he’s a Bush man, but this guy has been associated with the American presidency for years. CALLER: Yeah. Here’s my point. CALLER: Halper was loaned to Obama by Old Man Bush because his son was body slammed by Trump. That’s what I think. RUSH: Hold it. Hold it a minute, please. Who got body slammed by who? CALLER: Well, Jeb! Jeb got body slammed, by Trump, in the primaries. RUSH: All right. So “Old Man Bush,” Bush 41, donated Halper to Obama because Trump mistreated Jeb? CALLER: There you go! Bingo. RUSH: And what did Obama do with Halper? CALLER: Look, Lynch and the rest of them weren’t doing nothing unless Obama said, “Go do this.” We both know that, don’t we? RUSH: Well, we assume it. We assume that these guys wouldn’t be doing what they’re doing without Obama’s knowledge. Whether he ordered it, we will never know. CALLER: Well, here’s what I see — and this ties into your last caller. Will they actually start indicting people? And if they do, what are they gonna start singing? CALLER: Well, McCabe, Carlin, Strzok, Page, Lynch even. You know, they all had to be involved in the illegal spying, which I think began before 2015 like you do. RUSH: Before they are indicted, there has to be some kind of a criminal investigation or a grand jury or something. CALLER: Well, we have conspiracy to commit sedition at the least. I’ll tell you this: After this Mueller stuff is dispensed with and after it’s been presented to Congress, redacted and all, I think the president needs to call a national address from the Oval Office and tell everybody what happened here! He needs to tell everybody what happened, and I’ll tell you why I don’t think he’s going to. Because the Brits are up to their necks in it! Dearlove at MI6, Halper and all these people that were involved in helping the FBI do this? They despise Trump in Europe. They hate Trump as much, if not more, than the Democrats and the Washington establishment here, and they are up to their eyeballs in this stuff. I think it would shock the American people to realize what our so-called allies were doing in conjunction with our intelligence agencies in order to sabotage a presidential candidacy and then presidency. This may be one of the reasons Trump will not do it is because of how deeply involved they were and the calculation that wouldn’t serve any ongoing interests for all of that to be exposed. But this is major stuff, and I think everybody has a right to know exactly what happened, and I’m just telling you, again, everybody that watches CNN (however few the number) and reads the New York Times and all the Drive-By Media, they don’t know any of this, folks! They still believe that it was a legitimate investigation because there was a crime, and that Mueller couldn’t find it. 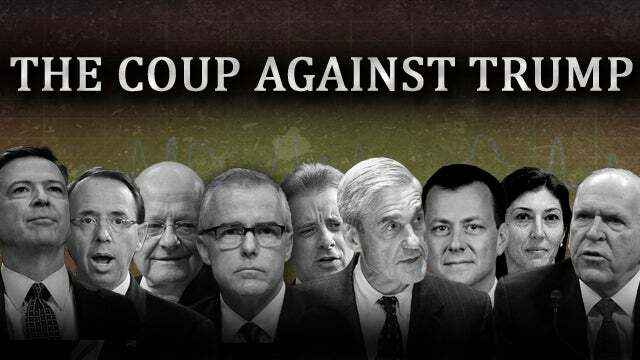 But the way they’re being led by the nose is that there was a crime, there is collusion, ’cause Nadler and Schiff are still singing. Swalwell and all are out there saying that there was collusion that Mueller, for some reason, didn’t find, and now Barr is covering it up and so forth. As far as they’re concerned, Trump got away with a crime. This is not at all what happened, which is why I’m hell-bent on the American people finding out. I think Trump should call a national address from the Oval Office and explain in detail exactly what happened, what’s been learned — with names, dates, faces, and pictures of all these people involved. I think it’s crucial for this to be exposed for what it was. But I’m telling you, the nature of the involvement of the Brits in this — and Halper is just the tip of the spear on this — would shock everybody. This has got Cambridge and Oxford and MI5 and MI6 all over it, in conjunction with McCabe and Strzok Smirk and all of these FBI people who have either been fired or have resigned or what have you — who, by the way, are still on book tours, selling their books about the investigation into Trump-Russia collusion, of which there was none. 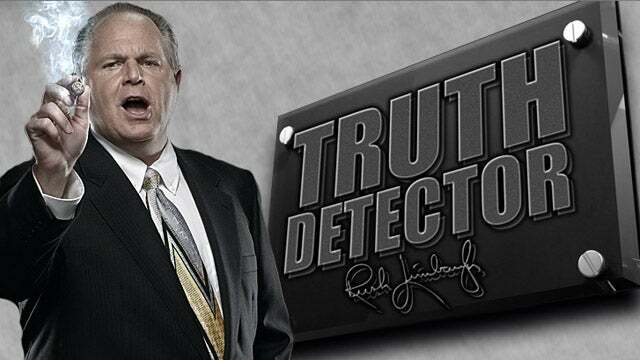 RUSH: Now, when we talk about this, there is a name that should never go unmentioned, and that is John Brennan. John Brennan, if you read as much as I have on this, you’re gonna find out how a lot of this happened, that the Brits were the people informing John Brennan. 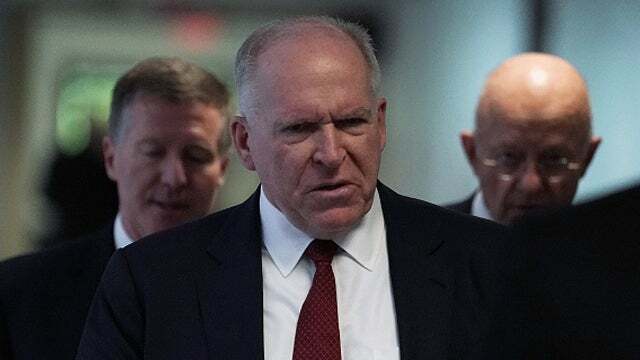 Now, Brennan headed the CIA for Obama. As such, because of the law, the CIA cannot run domestic operations in the United States. So what Brennan would do was take what the Brits were feeding him and what he believed on his own — I mean, they have intrinsic built-in Trump hatred — and he would take that to the FBI. And there are obviously things in this that they want to hide for related purposes, ongoing relationship purposes. But I think if we ever get to the bottom of this, you’re gonna find this started in 2015, late in 2015. And that it was the Brits who got hold of Brennan and fed Brennan a bunch of stuff about suspicious relationships between Trump people and Russian people. It had nothing to do with Papadopoulos. Nobody ever heard of Papadopoulos in 2015. He had nothing to do with it. The Brits do not like Trump because he is perceived as anti-NATO. The Brits have been worried about Trump since his first campaign salvo anti-NATO. NATO is the way they defend themselves. And they are scared to death that Trump meant it, about either making everybody pay up or disbanding the organization because it’s no longer valid in this present day. So the diplomats and intelligence people who are progressive leftists looked at Trump as an existential threat to this post-World War II order that John McCain talked about when he was describing his hatred for Trump. Why would we want to blow up the world order we created after World War II? McCain thought he was among the elites — and he was — that built and maintained what was called the world order. I don’t mean that in a conspiratorial sense like the New World Order conspiracy buffs do. There was a management of United States and Europe set up after World War II, and it’s how we got the Cold War. It’s how we got Soviet Union is legitimate bad guys and the rest of Europe, and NATO was part of this, and it’s a gigantic money bunch. NATO is a bunch of money for a lot of people to get money that’s not theirs, comes from us. Anything that would upset that would not be tolerable. They didn’t want Trump to be president. Steele comes from this group of people. 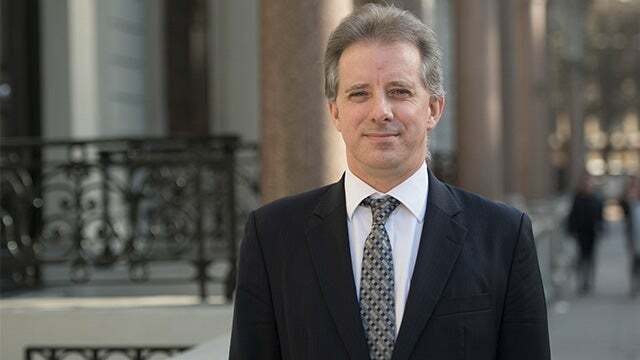 Steele is a Brit. He comes from this same bunch, this transnational progressive bunch that despises Trump. So I think Brennan is the guy responsible for getting all of this going in 2015 based on tips and intel, quote, unquote, that he was being fed by the British. And Brennan kept telling the Brits to collect stuff. And then Brennan kept sharing it with the FBI. And I think that the reason they don’t want this coming out, I think the reason that this is being covered up is because the British were spying on Americans. And I think the American people would revolt if they find out the extent to which the Brits, MI5 and MI6, were spying on American. They’re not supposed to do that. When I say they’re not supposed to do that, I’m not saying it’s naughty. I’m saying it is an agreement between the nations this will not happen. We will not spy on them. They will not spy on us without warrants and justification, explanations and so forth, cooperation, if you will. But the Brits are out there spying on Americans at the request of John Brennan, all for the purposes of trying to come up with dirt on Trump. And even with all of this they got nothing! And that’s why they had to manufacture the dossier. So here we have the CIA, headed by Brennan, coordinating an investigation of Americans, which they’re not supposed to do either. And Trump is sitting there, and he is the guy that it happened to! He was the target! He was the target of a gigantic coup, a silent coup. He was the target of an attempt to deny his candidacy and then his presidency with the aid of the American CIA director all the way up through and including the end of 2016. Now, you’re not gonna ever see any of this reported in the New York Times or any of the other left-wing media outlets. But when you look at all of the time, the years spent looking for actionable intel that could actually be used to convince the American people that this guy had no business being president, and they couldn’t find a damn thing, to the point they had to make it up, which is what the dossier is. Now, I can understand the intelligence people in both countries not wanting any of this out, because, A, not only is it a clear violation of the law, conspiratorial and all that, it’s inept! Plus, it’s arrogant. Who the hell do these people think they are? None of these people have been elected to do anything and they’re sitting there in their little cabal deciding among themselves who is fit and who isn’t fit to be president of the United States, all because Trump was bloviating about getting rid of NATO. And there’s more to it than that. I’m sure there’s a class aspect to this, too, meaning Trump is just beneath them. He’s just no different than the dregs of society. Nowhere near our sophisticated operations and so forth. RUSH: I guess that last segment kind of put in perspective what I think of this business with Nadler and Schiff. It’s all bogus. But let ’em stay on it, folks. They’re radicalizing themselves right out of the mainstream.